Congratulations to this weeks ‘Pupils of The Week’. We spent a little bit of time reflecting on our first term as it begins to draw to an end. The children shared their love of learning including maths, the Mayans and the gardening club however all agreed that they were really looking forward to Christmas. As we look forward to the third Sunday of Advent our children have begun their Christmas preparations and celebrations in school. 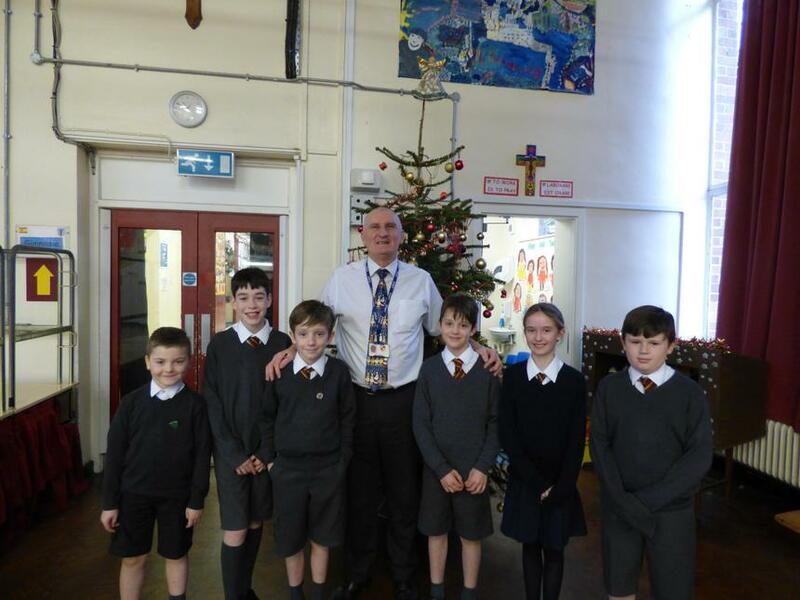 Yesterday we had our Christmas community dinner where we invited several members of our community to school where they were given a fabulous Christmas lunch served by our year 6 house captains. It was our way of saying thank you to our neighbours in Riverbank Road, governors old and new, and several members of our parish community including the Knights of St Columba, Legion of Mary Clergy, Eucharistic Ministers, Catechists, readers to name but a few. Last night our key stage two children had their Christmas music evening and performed brilliantly to their teachers and families. Today we enjoyed the infant play dress rehearsals which brought back many happy memories to our key stage two children. Another busy week to look forward to next week.